If you don’t want to purchase a bigger smartphone and compromising with features is not under you ethics then you should look for Sony’s latest flagship phone Xperia Z1 Compact. The phone left no stone unturned to differ themselves with other “Mini” smartphones, since, in reality it’s not a mini version of Xperia Z1. The phone has loaded with similar features of its big brother Xperia Z1 and in comparison; we found 90% similarity in both the devices. Let’s dive deep to know whether it’s a good choice or a waste of money? It’s a compact device incorporated with all the latest features and specs of contemporary smartphones. It is a very solid device and gives a premium feel just like iPhone. The solid build design makes it a complete dust-resistant and water-proof device. It simply means that the Xperia Z1 Compact is the only device which keeps you safe from miss happenings like dropping of phone in sink. You should thank to Sony for this amazing feature. The device is available in four different colours to choose from such as black, white, yellow and pink. However, we tested only the black model of Xperia Z1 Compact but saw all the models at CES, 2014. By launching this device in various colours, Sony has given great freedom to choose your favourite colour according to your lifestyle. It’s a small-sized phone rather than a mini version measuring only 9.5 mm in thickness. Hence, this makes it a handy device than all other larger phones, available in the global market. We have found this device very easy to use. The only big difference that we have found in this compact device is that its display is only 720p, which is less than original Xperia’s 1080p. However, it doesn’t mean that the device is not a good performer in terms of viewing-quality. In some extent, we have analyzed this device better than iPhone. Its IPS technology makes it a small-sized but worthy device. The only drawback that we have noticed is the absent of proper camera angles. We further tested Sony’s X-Reality feature. What we have discovered is that the X-Reality feature is not bad. Now, come to its hardware segment. It is completely an Android phone, with a solid Snapdragon 800 CPU. However, it runs on Android 4.3 Jelly Bean operating system rather than latest 4.4 KitKat OS. When it comes to power backup, the Xperia Z1 Compact comes incorporated with a strong 2300mAh battery that lasts long. In this segment, Sony has dropped down from 3000mAh to 2300mAh. But it doesn’t mean that you will get irritating low-battery signal while using the device. We tested the device’s power management by the mix use of video or movie watching, playing games, downloading data and surfing the internet, and found it working great for a whole day. Now, let’s have a look at the camera features of Xperia Z1 Compact. The handset comes incorporated with a 20.7 MP rear camera with Exmor R system, just like original Z1. While testing the camera quality, we have noticed that the camera functionality of Z1 Compact faces the same technical problems as its big brighter Z1. The camera of this device works great in good lightning conditions, but in low-light, it doesn’t produce images of high-quality. Although, both Z1 are incorporated with the same camera functions yet while testing the camera feature of Z1 Compact, we have noticed that it doesn’t produce images or videos of high-quality as its big brother does. The main advantage of the camera app of Z1 Compact is that it quickly boots up as well as provides various additional features such as SocialLive. Now, you can simply publish your desired images from camera app to your Facebook wall with the help of this feature. Now, come to its video recording facility. While comparing Xperia Z1 Compact with Lumia 1020, we found latter batter than former. The Z1 doesn’t function fast when it comes to camera focus and altering the different lighting conditions. The main attraction of Sony Xperia Z1 Compact is its extra-ordinary user interface. You aren’t supposed to find such user interface in ordinary smartphones. However, the device runs on Android 4.3 operating system but you can update in the month of March. Sony is renowned for offering mind-boggling user interface system. Hence, the operating system appears very slick, from the rear camera application to its mesmerizing menus and icons. 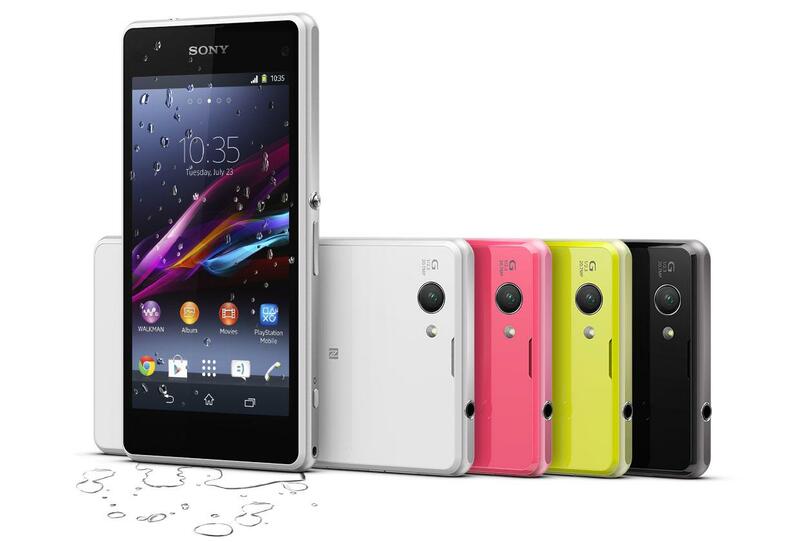 The device offers swift functionalities and that is why Xperia Z1 Compact is known as a miniature wonder. The device comes loaded with two significance features. First, touch to zoom on its home screen that displays the edit menu. It means you can simply manage your icons accordingly. Second, you can search for various applications by swiping left on the application tray. This small-sized device is perfect for messaging and typing. The device also houses some additional apps such as photo browser and music player. The device comes incorporated with all the latest and traditional connectivity features. It means you can easily send and receive a desired file form a connectable device. DLNA and Bluetooth are considered as the most important connectivity tools, available in this device. Sony is prominent for bringing us into a mesmerizing world of music and entertainment. Hence, Xperia Z1 Compact comes equipped with amazing entertainment network. Furthermore, you can also enter into the world of Android apps such as Google Play Store and Spotify. Sony has brought TV display technology on phones by launching its Bravia engine. It means watching movies or videos of this compact device, gives you a distinct viewing experience. In short, Sony Xperia Z1 Compact is a small-sized smartphone equipped with all the latest features and functionalities of bigger smartphones. David Martin is the Co-Founder of onlinephonecontracts.co.uk and has a vast experience in writing quality reviews on smartphones & gadgets. Connect with him @Google Plus.